Musicians Daryl Hall and John Oates of the music group Hall and Oates are suing Brooklyn-based Early Bird Foods & Co. for creating a granola called Haulin' Oats. 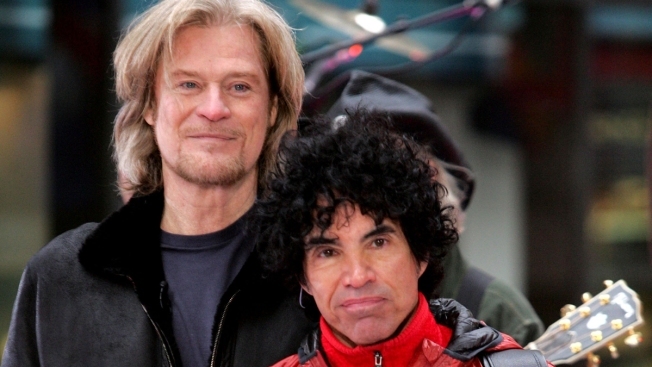 Hall and Oates are saying "no can do" to a granola-maker's Haulin' Oats cereal. The pop music duo has sued Brooklyn-based Early Bird Foods & Co. in federal court, accusing the company of violating trademark protections with its "phonetic play" on Daryl Hall and John Oates' names. The suit called it "an effort to trade off of the fame and notoriety" associated with the duo. In an email sent Thursday, Early Bird Foods owner Nekisia Davis said she had no comment, "Except 'Say it isn't so,'" — an apparent reference to a 1983 recording by Hall and Oates with that title. The company's website describes it as a small operation located in the Red Hook section of Brooklyn. It bills itself as the maker of "out-of-this-world delicious, wholesome and nourishing small batch granola and other foods by hand." The suit asks the court to order Early Bird Foods to stop using the Haulin' Oats name on packages of granola. It also says the company should hand over any profits made off the brand. Hall and Oates are best known for decades-old classics like "I Can't Go for That (No Can Do)," ''Sara Smile" and "Rich Girl."